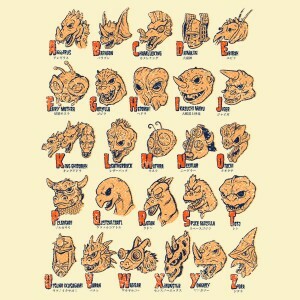 A good way to learn the alphabet is to associate it with characters that you already know and love. For example, kaiju. Yes, your child will have the time of their life associating letters with the corresponding monsters of Japanese lore. Thrill as they hide under the covers after looking at the pictures for each letter! Laugh as they vow vengeance on the terrible creatures that cursed their lives such that they should have to live in fear for decades to come! Wrap this cloth around your torso, and your children will be learning the alphabet and building gigantic robotic armor to fight kaiju with in no time.